No matter if you’re treating yourself with your very first Porsche, or you have driven Porsche vehicles for years, Porsche Financial Services has a variety of programs to help maximize your savings on your next Porsche purchase or lease. If you’re an existing Porsche lessee, PFS can waive up to 12 of your remaining lease payments in order help get you into your next Porsche sooner than you might have imagined. For clients considering their very first Porsche, you could be eligible to receive a Welcome to Porsche credit. 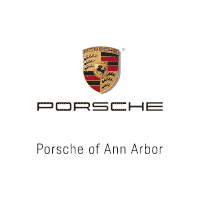 Regardless if you’re continuing your passion for Porsche or if it’s your first time behind the wheel of one — Porsche of Ann Arbor is here to help make your dreams a reality! ALL Model Years of ALL Porsche Vehicles are eligible to have up to three (3) of your remaining lease payments waived. Model Year 2015 Mid-Engine, 911, Panamera, Macan & Cayenne Models are eligible to have up to twelve (12) of your remaining lease payments waived. Model Year 2016 Mid-Engine, 911, Panamera, Macan & Cayenne Models are eligible to have up to twelve (12) of your remaining lease payments waived. Model Year 2017 Panamera Models are eligible to have up to six (6) of your remaining lease payments waived. Model Year 2017 Mid-Engine, 911, Macan & Cayenne Models are eligible to have up to twelve (12) of your remaining lease payments waived. Additionally, the Bank Disposition Fee ($350) on existing lease will be waived. *Existing lease must be of a contract term of 24 months or greater. Maximum payment waiver of $2,500 per month. Lease or Finance a New 2019 Porsche 718 Boxster, 718 Cayman, or MY19 and MY18 Panamera model through Porsche Financial Services and you are eligible to receive a “Welcome to Porsche” credit. The amount of your credit is equal to your existing competitive lease payment not to exceed $1,500. A maximum of three (3) payments can be credited to you not to exceed $4,500 in total. Program Period: Effective January 4, 2019 – April 1, 2019. Customers with a currently active competitive (non-Porsche of any make) lease contracted as a new, demo or pre-owned vehicle (as detailed by their existing lease agreement). To be considered active, the customer must have at least one payment due as of the contract date for the eligible new Porsche model. Active status is determined by the PFS contract date being greater than 30 days from the original maturity date of the competitive lease. Competitive leases that have been extended beyond the original maturity date are not eligible. Payoff, trade-in, or return of the existing competitive lease is not required except if the competitive lease is 181 days or more from the maturity date. However, current PFS credit guidelines apply as applicable to each transaction. Competitive single pay leases are eligible. The amount of the monthly payment credit is calculated by taking the single pay payment amount divided by the term of the competitive lease agreement (maximum of $1,500/payment). *Existing competitive lease must mature within 180 days of your new Porsche lease contract date or proof that the competitive lease payoff must be remitted by Porsche dealer. Please note, it is not necessary to trade your existing lease to take advantage of this reward.